Janet Bawcom | Run S.M.A.R.T. 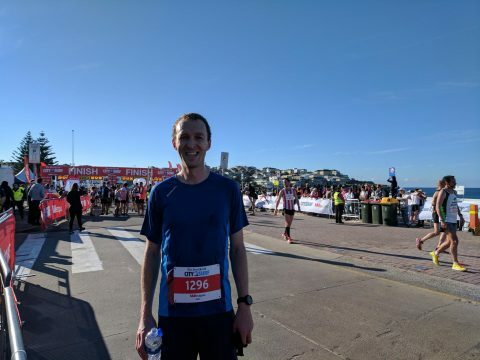 Stephen Van Rees broke 1-hour and 20-minutes for the first time last month at the Run Melbourne Half Marathon in Australia. His official time was 1:19:51 placing him 22nd overall out of 5,000 runners. [Full Results] This result comes after his PR-setting marathon performance (3:06) in Sydney last fall. 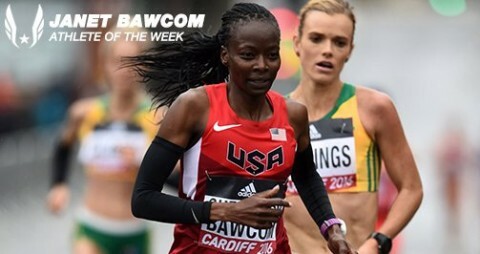 His coach, Janet Bawcom, also recently reported a new 5k PR by Stephen in 16:40. Last week we posted about all Joey’s progress with Run SMART coach Janet Bawcom. 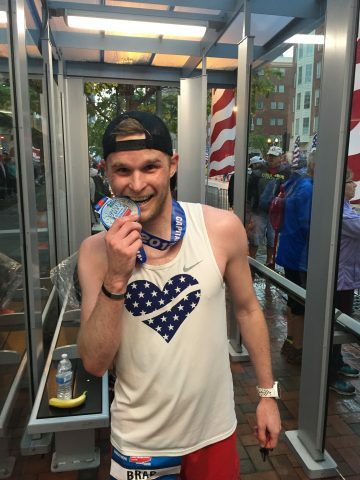 We wrote about his recent PRs for 5k, 10-miles and half marathon. 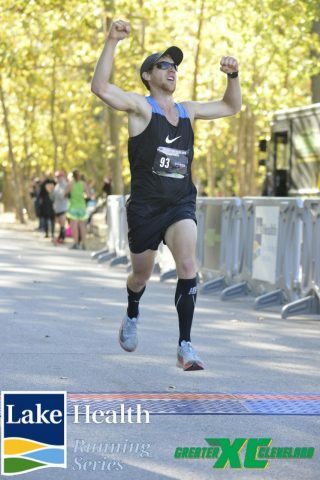 This past weekend he continued his hot streak lowering his half marathon PR again. Joey Teter of Madison, OH has been working with coach Janet Bawcom for almost a year and a half now and the results are starting to pour in. This past weekend he ran three legs of the Bourbon Chase Relay and his team finished 2nd overall. 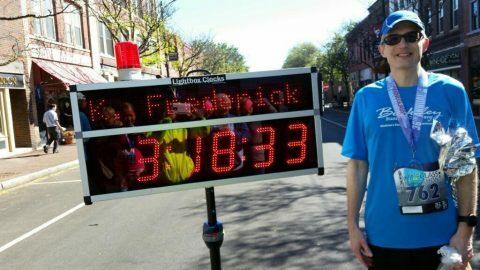 Earlier this year he improved his 10-mile PR by over 4-minutes at the Perfect 10-miler in Ohio. His official result time was 55:30. 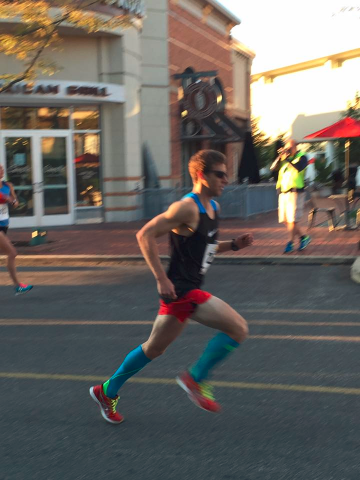 He also improved his 5k PR by 20-seconds at the Americana Festival with an official time of 16:17. Did we mention his half marathon best went from 1:16:18 to 1:15:21? 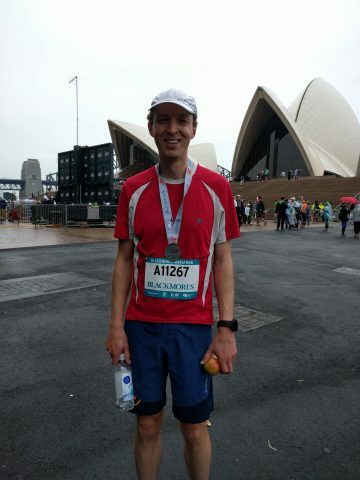 Stephen Van Rees set a 31-minute PR at the Sydney Marathon. His official time was 3:06:15. 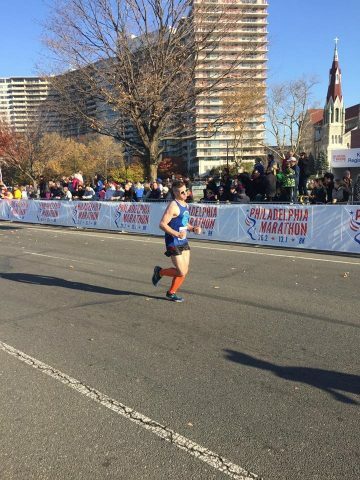 And according to his coach, Janet Bawcom, this was just a tune-up for the New York City Marathon next month! If you check out Stephen’s splits, she clearly wasn’t joking. At the halfway mark he was 1:35:10 so he ran a big negative split, closing the second half in 1:31:05! His fastest 5k splits of the entire race were at 30k (21:22), 35k (21:33) and 40k (21:51). Amazing race or shall we say “workout?” Regardless, big congrats to Stephen and Janet on the amazing progress. 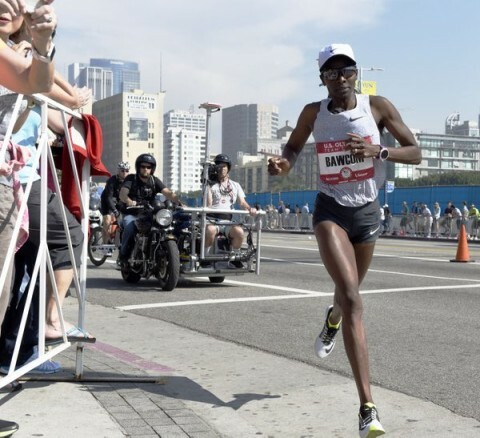 Both athlete and coach will be competing in the NYC Marathon next month. Good luck!!! Congrats to our good friend and colleague Run SMART coach Janet Bawcom on her 5th place finish at the U.S. Marathon Olympic Trials. Janet was less than 2-minutes outside of the top 3, right begin Shalane Flanagan and Kara Goucher. Her official time was 2:31:14 (top 10 finishers). First mile split was 5:49 and her last was 5:50. Consistency, even on a hot day with lots of sun.